These instructions explain how to connect to your VPN accounts using our native Windows app. If this does not work, try connecting using OpenVPN. OpenVPN can get around a lot of censorship, especially at corporations and ISP-level blocking. If you don’t want to install an app at all, try these instructions. 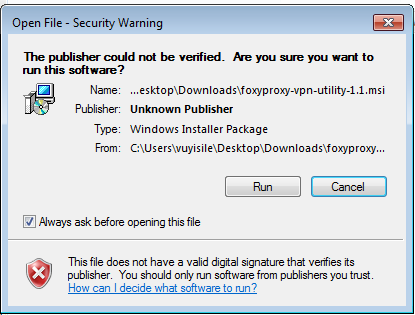 Download the FoxyProxy VPN Utility for Windows by clicking here. Advanced users only: A portable, zipped version without installer can be downloaded here. Don’t want to install anything? Follow these instructions instead. See Related Articles below for even more VPN connection choices. 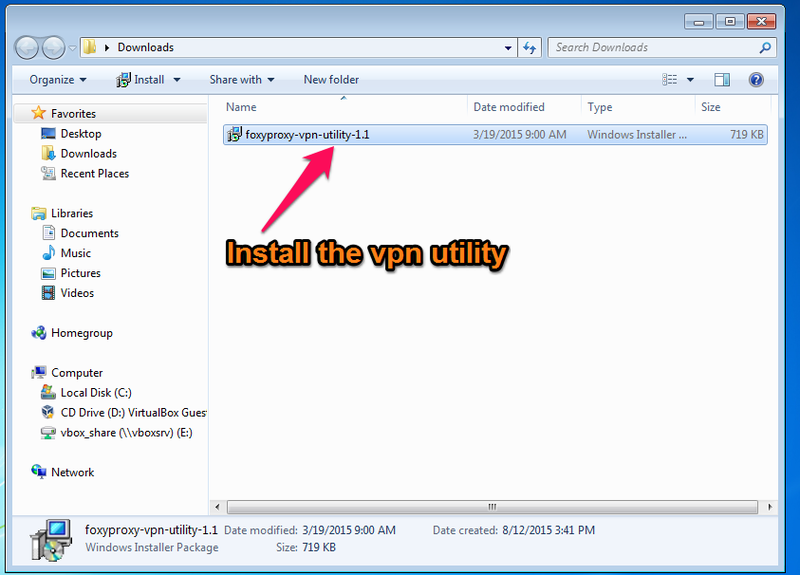 This will launch the VPN Utility Setup Wizard. Click “Next”. The default options presented after this screen should work for most people. Once installed, a VPN Utility icon will appear in your desktop or start menu. 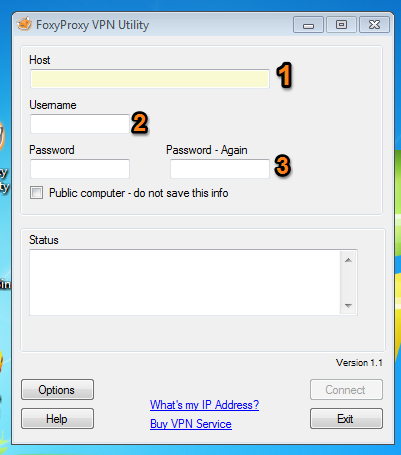 Double Click on the icon to start the VPN Utility. 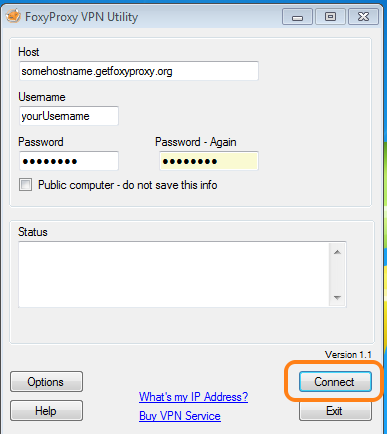 Enter the hostname or IP address you received from FoxyProxy. You can also view this information in the Customer Panel. 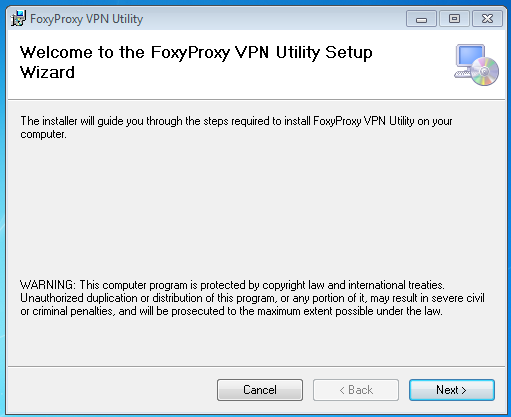 The VPN Utility will then automatically configure your Windows device to use your FoxyProxy VPN service. 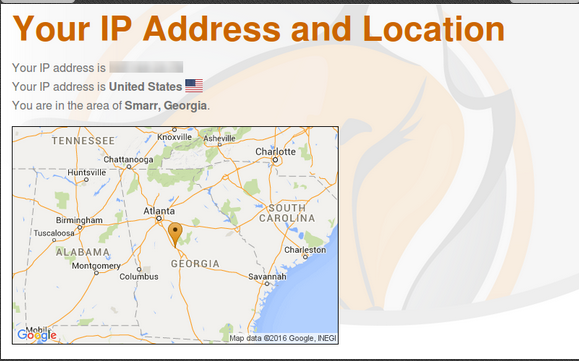 To confirm it’s working, visit https://getfoxyproxy.org/geoip and ensure it says a different location and IP address than you expect. To disconnect, simply click the disconnect button in the VPN utility.